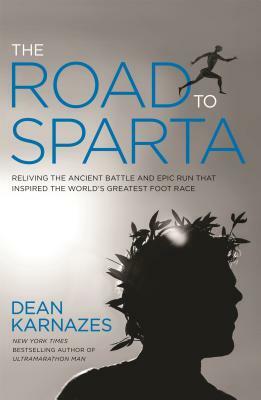 The Road to Sparta is the story of the 153-mile run from Athens to Sparta that inspired the marathon and saved democracy, as told—and experienced—by ultramarathoner and New York Times bestselling author Dean Karnazes. Karnazes personally honors Pheidippides and his own Greek heritage by recreating this ancient journey in modern times. Karnazes even abstains from contemporary endurance nutrition like sports drinks and energy gels and only eats what was available in 490 BCE, such as figs, olives, and cured meats. Through vivid details and internal dialogs, The Road to Sparta offers a rare glimpse into the mindset and motivation of an extreme athlete during his most difficult and personal challenge to date. This story is sure to captivate and inspire—whether you run great distances or not at all. Dean Karnazes, a New York Times bestselling author and an internationally recognized endurance athlete, was named by Time magazine as one of the Top 100 Most Influential People in the World. He has competed on all seven continents, including a 350-mile run, a 135-mile ultramarathon across Death Valley, and a marathon to the South Pole in negative 40 degrees. In 2006, he ran 50 marathons, in all 50 US states, in 50 consecutive days, finishing with the NYC Marathon, which he completed in three hours flat. He has written for Runner’s World and Men’s Health and lives in Marin County, CA. "Karnazes may just blow your mind about the human body’s capabilities with his new book, The Road to Sparta...An engaging read for runner and non-runner alike."